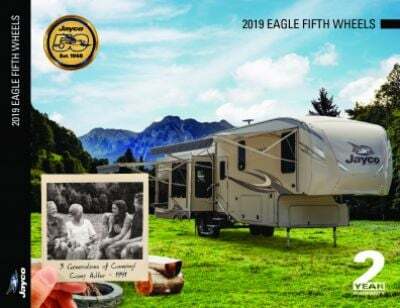 This 5th Wheel is built to hitch up and go whenever you're ready! It's 31' 0" long, 8' 0" wide, with a hitch weight of 1560 lbs., and a sturdy GVWR of 9995 lbs. The 14' 0" patio awning provides shade and UV protection for outdoor fun! Everyone in the family will sleep well on the trip, with sleeping space for up to 4 people! With the Queen bed in the master bedroom, you'll never lose sleep over vacation! 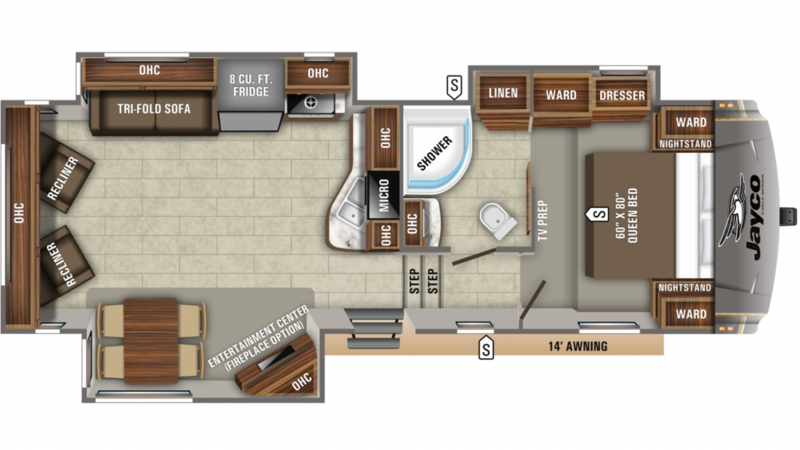 One of the great amenities in this 5th Wheel is the kitchen where you can prepare great meals for the family. Cook up steaks, burgers, fish, or pancakes on the handy 3 burner range cooktop! For stocking all your favorite meats, veggies, cheeses, and drinks, you'll love the 8.00 cu. ft. refrigerator! You'll have plenty of fresh water for cooking, cleaning, and drinking, thanks to the 42 gallon freshwater tank! Start your day off right with a hot shower in the bathroom, as there's plenty of heat with 60 lbs. of LP tank capacity. The waste from the Porcelain Foot Flush toilet is stored in the 32 gallon black water tank and used water from the sink and the shower is dumped into the 65 gallon gray water tank!